Here is an interactive map powered by Google. 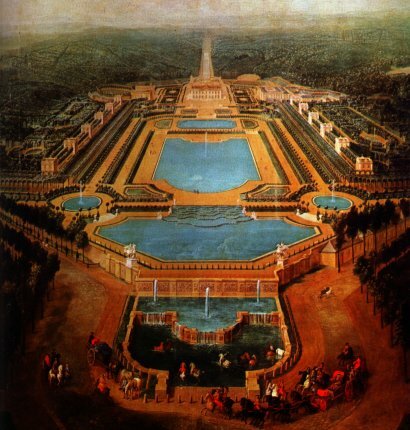 As Louis XIV began to build Versailles and it's park (in 1660), a very important hydraulic problem appeared. How to convey the necessary water to the site? Not only to fill the ponds but also to have it under pressure to feed the gushing fountains. First of all, small lakes of the neighborhood were drained and small rivers were derived. Around 1675, it revealed that all the available sources could not produce enough water for the major fountains. 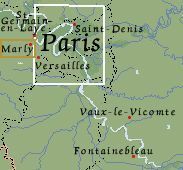 So, the King said to his minister of finances Colbert :"The Seine river flows only 3 miles away from here, 162 m below the Versailles level. Request from the scientists, the machine to lead it here!" So machine was built in the Seine river, and moved by the head created through the dam, 14 wheels (12 m diameter) actionned pumps. A first series of 64 pumps pushed the water into a first reservoir 48,5 m higher than the Seine level. In this reservoir, a second series of 69 pumps pushed the water into a second reservoir 56,50 m higher. 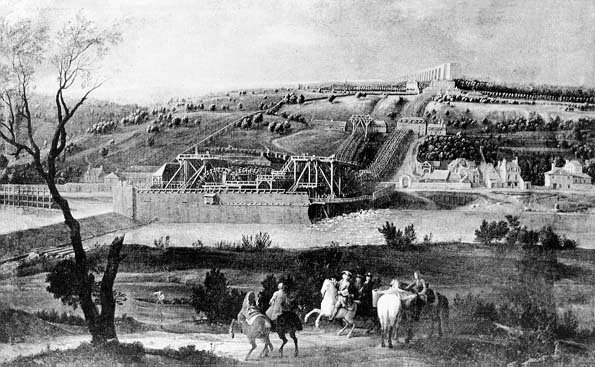 Finally a third series of 78 pumps pushed the water 57 m higher to the top of the aqueduct going to Versailles, by gravity flow some 3 miles away The machine took 8 years to be built (1681-1688). It was made by a company of 700 people. A rough estimate of the cost according to nowadays concepts would come to 200,000,000 $. 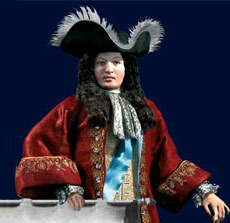 The Marly machine was the most extraordinary achievement of the XVIIth century. It was visited, at that time, as today the Eiffel Tower. It was kept in operation during more than a century.